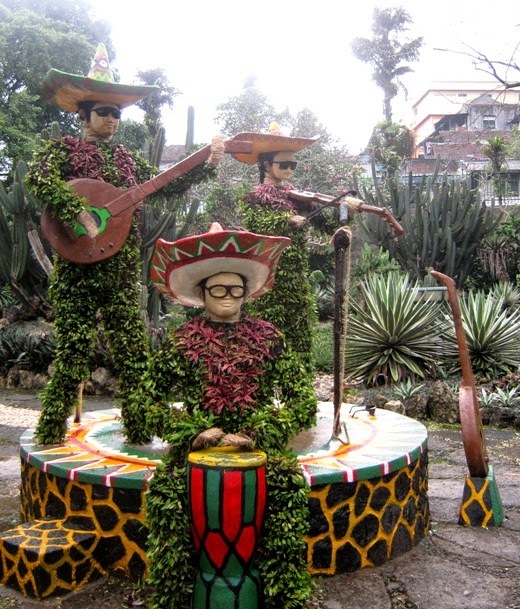 Some 'musicians' at the Mexican Park inside Bogor Botanical Gardens (Bogor, West Java, Indonesia). Very nice sculpture, love it! Kind of an "hombre" version of chia pets! What a great group! Your photo made me smile this morning!